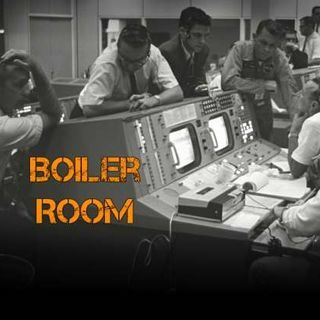 Join ACR hosts Hesher and Spore along side Jay Dyer of Jays Analysis, Funk$oul & Infidel Pharaoh (ACR Contributors,) for the hundred and twenty sixth episode of BOILER ROOM. Turn it up, tune in and hang with the ACR Brain-Trust for this weeks boil downs and analysis and the usual gnashing of the teeth of the political animals in the social reject club. This week on the show the ACR Brain-Trust is back with another meeting of the Social ... See More Reject Club in the No Friends Left Zone and the gang is discussing the consternation associated with immigration, DACA, Trump making deals with D.C. Swamp-critters like Schumer and Pelosi, technology, "not-so-free markets," 9-11, Hesher's chat with Psonick and the Type 1 Radio crew along with Dr. Judy Wood and Andrew Johnson and much more.